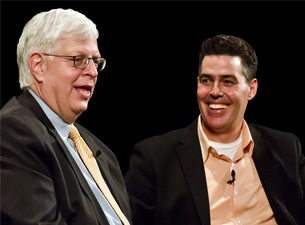 Dennis Prager and Man Show Alumni Adam Carolla will be at the House of Blues on Sunday, August 26th, 2012 at 6pm. This is a make-up show that was originally to happen at the Bob Carr on Sunday, June 26th, 2012 (click here for tickets). This entry was posted in Comedy and tagged House of Blues on February 9, 2012 by Orlando Concert Guide Staff.